THE MAYBELLINE STORY : Maybelline Heir, Bill Williams, Classic Clenet Series 1, number 13 out of 250. Maybelline Heir, Bill Williams, Classic Clenet Series 1, number 13 out of 250. 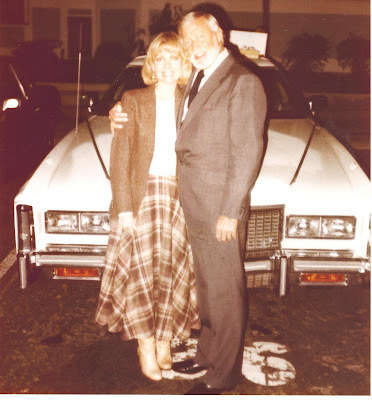 Sharrie Williams and her father William P. Williams Jr.
Click here to see Sharrie's interview with Barnaby Bamkaw, of Motorcar Society, talking about her fathers 1977, Clenet, 13th Edition, Series 1. Also the original fabricator, Steve Kouracos talks about the making of Bills,13th edition. Sharrie Williams and her Fathers Clenet from The Motorcar Society on Vimeo. Click here to see the interview with Clenet Coachworks, founder and owner, Alain Clenet, as he signs Bill Williams 13th edition, Clenet. Alan Clenet from The Motorcar Society on Vimeo. Clip below of Sharrie talking about her father's Clenet. Bill is on his way for some TLC, before making an appearance with Alain Clenet, the man who designed and built him, almost 35 years ago. Click on the video to watch Bill leave the garage and head out on the street. HE MAYBELLINE STORY : Daddy's Clenet back in business. Bill Williams and Alain Clenet.display their Art, at the SB Concours.